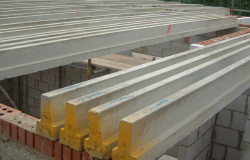 The CUBE6 150mm deep pre-stressed pre-cast concrete beam has been designed primarily for the domestic housing market. The beam is up to 40% lighter than any other beam on the market making it easier to handle and position on site. The beams are made manually in precision steel moulds which results in a beam that is straight and free from concrete “snots”. 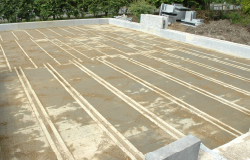 This method of production also reduces the camber and produces beams that are consistent in depth and width. Our beams and processes are accredited to IS09001:2008 quality standard, we design and manufacture to comprehensive European Standards and have the required CE marking. We also have an ISO14001:2004 Environmental Management System certificate. The high strength concrete beam is reinforced with 5mm diameter pre-stressed steel wire. Spans of up to 5.8m can be accommodated with standard domestic loads. 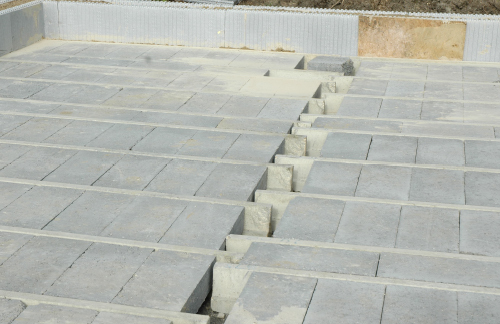 Suitable for the use with a wide range of flooring blocks with densities of 650kg/m3 to 2000kg/m3.